WHAT ARE HEDONIC TONE ASSESSMENTS? 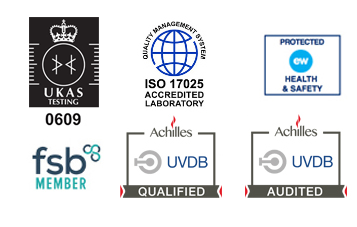 Silsoe Odours Ltd operates a leading independent odour laboratory, based in Bedfordshire. One of our most popular odour testing services is hedonic tone assessment, where we measure the level of pleasure, or displeasure, that specific odours create once brought into contact with the human nose. .
Hedonic tone assessments are invaluable to businesses who are managing odours that have the capacity to negatively impact local communities. Knowing how an odour can affect residents nearby, allows for effective odour management and planning. A hedonic tone assessment is a subjective testing process, which allows us to give a ‘score’ to an odour. We make use of our panel of specially selected, screened and trained odour assessors to generate these scores. The perceived hedonic tone scores range from very pleasant (+4) to very unpleasant (-4). Examples of odours which might receive a very pleasant score include bakery smells (+3.53) and chocolate (+2.78), whereas odours gaining a very unpleasant score could include burnt rubber (-3.01) and cat urine (-3.64). WHY IS HEDONIC TONE ASSESSMENT IMPORTANT? 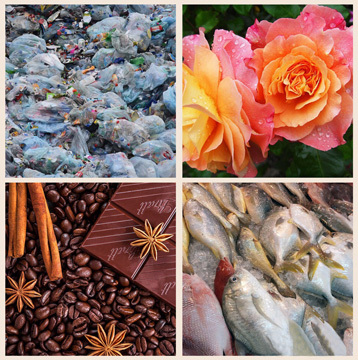 Hedonic tone assessments can be of use in helping you to understand how an odour can affect the local community. Many odours emitted as a by-product of industrial process can be tolerated in relatively high concentrations, if they don’t impact negatively on those in the immediate vicinity. However odours which register low (or unpleasant) on the hedonic tone scale are likely to be the cause of complaints. This is because they threaten the quality of life for those subjected to them. Companies which receive high levels of complaints can find themselves subjected to investigation by the regulator. In some cases this can result in legal, monetary and reputational ramifications. At Silsoe Odours we can advise our customers on remedial action necessary to help limit the impact of any unpleasant odours your operations may produce. We can also provide qualitative data which can be of value for informing effective odour management planning activities. It can also help you to satisfy the regulator and inform planning permission applications. A business that is aware of the hedonic definition of its odour emissions, can plan appropriately in relation to its local environment. This is one of the tests Silsoe Odours Ltd will undertake when determining the ‘safe zone’ required between new housing developments and local industry. Whilst many of the odours emitted as a by-product of industrial processes can be tolerated, in quite high concentrations, those registering low on the hedonic tone scale are likely to be the cause of vociferous complaints. If your business could benefit from Hedonic Tone Assessments, call our team today on 01525 351 396.